This is the last YA posting for this blog. I am now posting all YA book reviews and news on my new Teen Reads Blog. 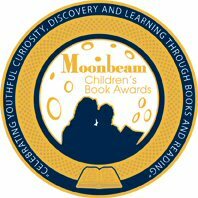 I will continue to post picture book and juvenile book reviews and news here. 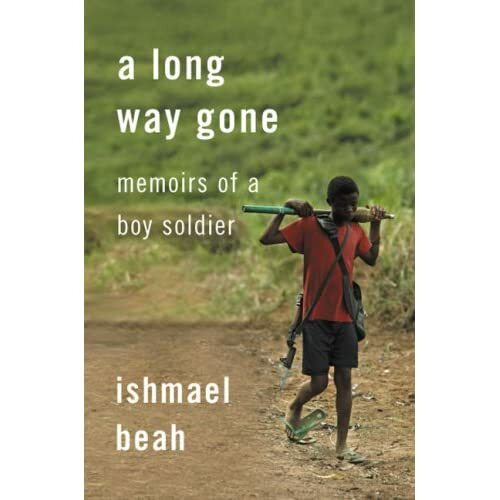 We read A Long Way Gone: Memoirs of a boy soldier by Ismael Beah for my book group last month, and I was blown away. There is no pretension in this moving but disturbing real life story of the devastation and dehumanization of war on children's lives. Now a child-rights advocate, Ismael Beah tells his own story of a childhood lost to war and destruction. It is as gripping as it is horrific. I'd say it's a must read adults and teens alike, but some might find it just too difficult. The story begins in Ishmael's small village in Sierra Leone when he is twelve. It ends after a grueling three years of war, followed by a difficult rehabilitation and finally a trip to the UN in New York as a child representative. It is a lonely and painful journey, one where trust is lost to fear and the ravages of war. It is a journey that you would not wish on your worst enemy much less a child. Not unlike kids of the same age in Western Countries, Ishmael's world is about friends and music, with the safety net of family hovering in the background. This is where Ismael's story begins. Of course there are differences. Ismael and his brother and his friends (who are in a rap group) must walk to the next village sixteen miles away to perform whereas our kids can catch a ride with parents or take the bus. But, Ismael's innocence and carefree life ends suddenly when mutilated messengers stagger into the neighboring village where they have gone to perform. The news they bring is devastating. The boys home village has been torched and their families murdered. Worse still, the rebels are on their way. The boys scatter into the jungle along with the other villagers. Their new life becomes one of hunger and fear and endlessly putting one foot in front of the other with no real place to go to. The brutality of the civil war breeds fear and distrust even of children since both the rebels and the government kidnap children and turn them into drugged killing machines. After months aimless wandering, Ismael is taken by the government forces and turned into a child soldier as addicted to killing as he is cocaine. It is frightening to read about how a precocious twelve year old who loves music and pranks can be turned into a killer without a trace of remorse. It isn't until Ismael has spent three years as a soldier that the UN plucks he and several other boys like him out of the army and into a rehabilitation centre. Although you might imagine this to be a welcome change, the child soldiers do not. By then, Ishmael, and others like him no longer think of themselves as children at all. Their AK-47's and killing, not age defines who are are. It is their means of survival and their power and place in the world. The psychological impact of taking their guns is even more difficult to endure than their withdrawal from the drugs that have helped to numb their humanity. The question of whether or not these children's psyches have been destroyed is an all too real one. However, the staff at the rehab centre persists and little by little, Ismael and the others begin to open up, to grieve, and to heal. In Ismael's case, is what helps to heal him. Still, A Long Way Gone is a difficult road to walk as a mere reader. And it is equally difficult to grasp how this young man walked it real life. The fact that he has survived, that he has written this book and that he continues to speak out against war, is a testament to the human spirit. You won't read a more disheartening and nor a more uplifting story. Read it.